What’s better than one of the biggest names in EDM dropping a new single? Two of the biggest names in EDM collaborating on that single! Stars collide in Markus Schulz and Emma Hewitt’s massive new heart-pounding dance-ballad entitled, “Safe From Harm”, and here at HIP Video Promo we have the immense pleasure of introducing you to this match made in electronic dance music heaven. 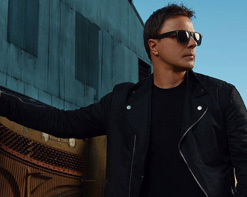 Markus Schulz is a German-American DJ and producer based in Miami, FL. With two decades of work under his belt, Schulz is currently the host of Global DJ Broadcast radio show and founder of both Coldharbour Recordings and Schulz Music Group. An artist with innate raw talent, he has a knack for unlocking the full potential in any project he’s on. In 2012, the German-American was crowned America’s #1 DJ by DJ Times, and the following year, he teamed up with Dutch star, Ferry Corsten to announce their collaborative project called New World Punx (a project that warranted a live debut at Madison Square Garden). Having produced some of the most notable names in EDM, Schulz’ ability to work with other top-tier artists was vital to the creation of “Safe From Harm”. Emma Hewitt is a singer/songwriter from Greelong, Victoria, AUS. After being picked up by Sony Music as a teenager with her former band Missing Hours, her roller-coaster ride of a career took off with some major whiplash. While it may sound like a fairy-tale to some, Hewitt quickly learned harsh lessons of the industry, turning her off to the business end all together. Once her songs started getting stripped of their meaning and boxed into “products,” enough was enough, and she made the decision to burn down the castle and rebuild it the way she’d envisioned. Her first song after leaving Sony was an EDM collaboration with budding UK icon, Chris Lake entitled, “Carry Me Away”, which knocked Brittany Spears out of the #1 spot on the U.S. Billboard’s Hot Dance Airplay charts, and proceeded to spend an unprecedented 50+ weeks in the Top 100. At the apex of their careers, Schulz and Hewitt are sure to turn heads in the EDM community with the massive partnership that is “Safe From Harm”. The cinematic nature of the music video serves as a stunning accompaniment to the vast soundscapes created by their partnership. Schulz’ quintessential “unicorn melodies” serve as a lush bed for Hewitt’s delicate, earthy vocals to lay. Mirrored by jaw-dropping images of baby blue waves crashing onto the beach, the duo have created a paradise all of their own, and “Safe From Harm” is a one way ticket to their haven. With the King and Queen of EDM, nothing can hurt you. We’re profoundly thrilled to share a taste of bliss with Markus Schulz and Emma Hewitt’s “Safe From Harm” music video. It’s our sincere hope that you and your viewers will flock to “Safe From Harm”, share it on your socials, and add it to your programming in a timely fashion. Rest assured we will have plenty of outstanding merch from both artists to set up online/on-air contests and giveaways throughout the campaign. Don’t hesitate to let us know what we can do to help you provide the exposure this dynamic duo are certainly worthy of. 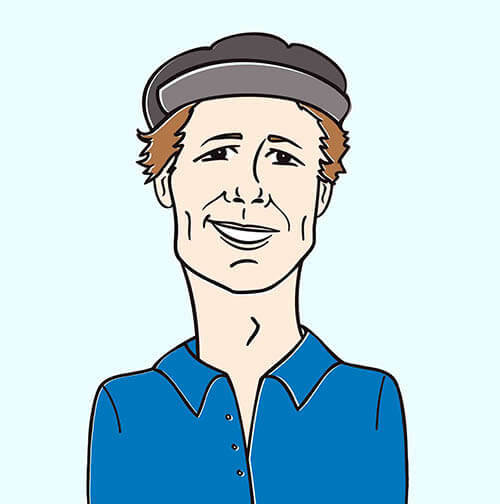 Please contact Andy Gesner and the HIP Video Promo team at (732)-613-1779, email us at info@HIPVideoPromo.com. You can also visit www.MarkusSchulz.com or www.EmmaHewittOfficial.info for more info on Markus Schulz & Emma Hewitt.